Like how your doing this story broken up like this with fewer updates. Great way to do a longer story (wish I had thought of it 😂) very solid first season. Team needs some younger players to step up this year to look like contenders. I thought of doing a story month-by-month as a club owner and this comes close to what I had in mind. 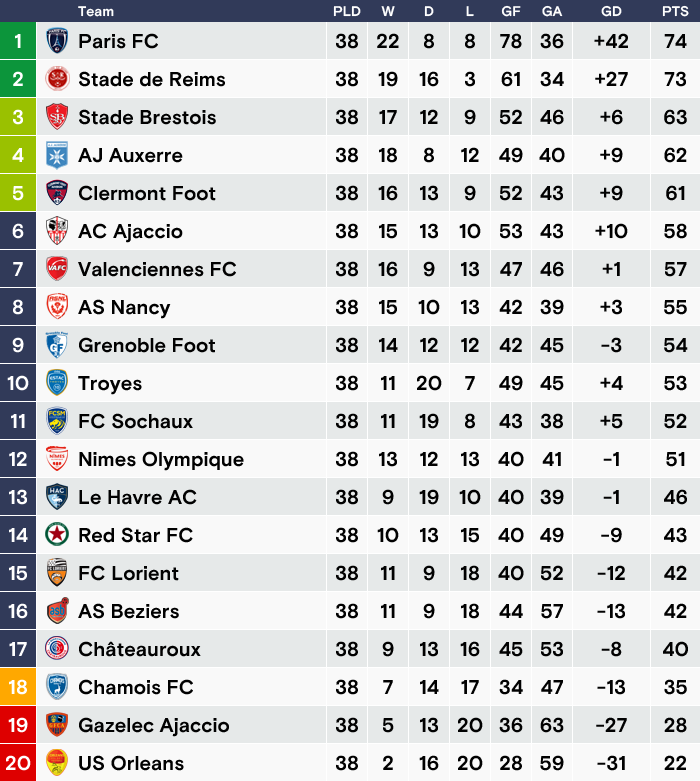 One more year in Ligue 2 it is. Ha fair enough, don't think anyone has done a story like this before that I've seen that is, it's usually game by game or monthly. Yep 1 more year, I need to go one step further this time. Surely not a bad season, considering the initial expectations and the economic control. Hopefully it was useful to set the first stone of the new project. Next season, the expectations will be higher and so will be the pressure. I'm hoping the whole team does well rather than one 30 year old, he will be massive for us, experience and still rapid done the wings, he has it all really. I like the large updates, I'm sure it will help the career progress quickly as the team tries climbing out of the lower league. Not a bad first season, new manager getting to know his side while staying competitive in the league. Thanks, I like this update way, allows me to not focus too much on pumping out updates day by day and lose internet overtime, it's very fast paced. The manager knows his players now, time to add in some of his own signings to the squad! Paris welcomed two players to their ranks early in the transfer window after agreeing pre-contracts with the soon to be free agents, Alessandrini and goalkeeper Hassen join. However the real business began soon after with manager Bellegarde raiding two Stade Rennais players from Ligue 1. Firstly central attacking midfielder Rafik Guitane who cost a total of €2.35m, he signs a 5 year contract with the club earning €9k/week. Also left-back Faitout Maouassa signs for €2.4m, the French defender also signs a 5 year deal earning €10k/week. Bellegarde expressed his delight getting them over the line, "These two are the quality we need, Perraud leaving the club meant we needed to invest in a left-back and Faitout has all the ability to make that position his own, Rafik is a tricky little player, he will be the main creative hub for us this season, I see a big future in him." Not only did Bellegarde raid Rennais he worked his magic sealing two Premier League youngsters with bright futures. Firstly €1.2m rated Southampton right-back Yan Valery signed a 5 year deal also earning €9k/week. Also Everton defensive midfielder Beni Baningime signs a long-term contract for a €1.95m fee, he will be the highest earner at the club on €15.5k/week wages. 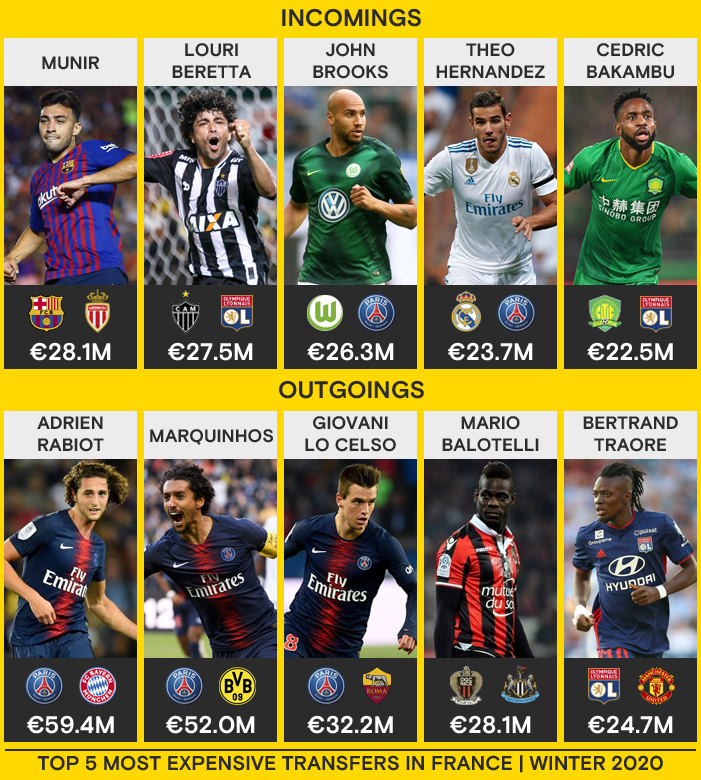 All in all very good business from Paris with their €8m budget they managed to bring in 4 players that could well fit right into the starting eleven. As far as exits we know Pitriopa, Ourega, Gbelle and Demarconnay all left as free agents, the latter joining San Luis on a pre-contract. Reserve goalkeeper Ovono left to Sanfrecce Hiroshima for a small fee of €100k, returning loanee Lebon was sold to Lincoln city for €200k and finally want-away Rufli left the club for CD Vinazur in a 725k deal. Heartbreaking news for Paris fans as the new star forward Alessandrini suffers a horrible ACL injury during pre-season and will see him out for 4 months, the French winger is expected to return around November deep into the season. Manager Pascal Bellegarde comment on the incident, "The whole stadium felt it at the time, it was like a dagger to the heart for us, and to lose him for four months just before the season starts hurts us. We hope he can return in November and help us gain promotion." The main aim for Paris this season is promotion, cup performances will be a bonus as the board and owners feel like the investment given to Pascal and based on the previous season he has the tools to get this club out of Ligue 2, automatic will be the target but the play-offs is something they can settle for, anything else will be seen as a disappointment. The board are also putting a plan in place on the long-term future of the club in particular the stadium facilities, rumours suggest the owner is willing to put his own money into the club to build a brand new stadium or improve on the current one which holds 20,000 people. Reports suggest the club will still invest just as much as usual in the wages and transfers as the club grows and the club will take no damage investment wise if the stadium plans go ahead. More on this at a later date. Great summary and graphics as always. The loss of Alessandrini is huge... terrible news for a team where every penny counts. It's evident he was the star signing and is the most relevant player in the whole squad. I wish the team can keep it up during his long term absence. Interesting news about the stadium. Definitely, Stade Charléty is quite old... and those athletics tracks don't make it nice to watch football. 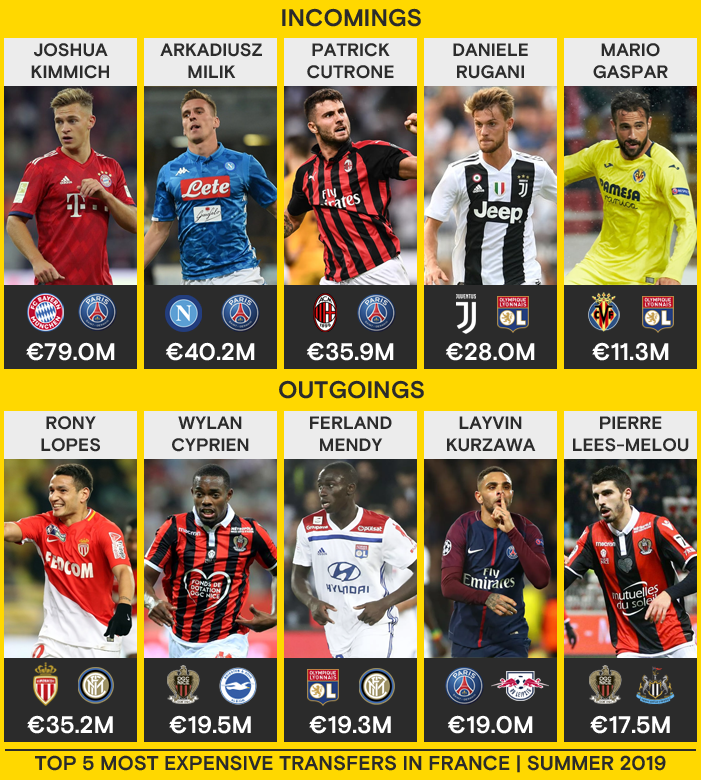 Some great acquisitions by the team so hopefully they can get fast and help the team deal with the loss of alessandrini. Smart business with the contract extensions. It will be interesting to see if the academy grads can reach their potential, if they do that would put the club over the top for promotion. Great graphics with the squad list. Sad to see Alessandrini gets injured in the pre-season tour and will miss the first months. Good transfers for a club who wants to battle for promotion, good luck this season. 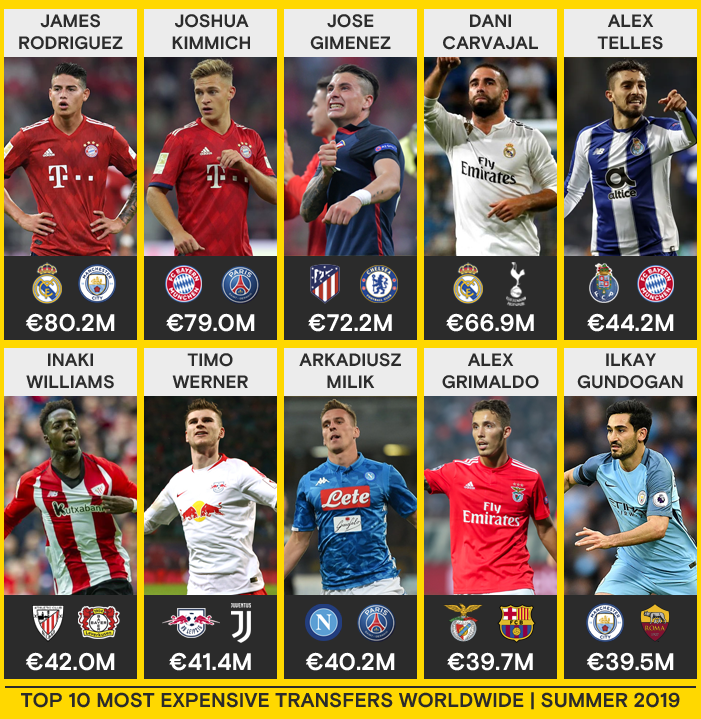 Always try keep my players over 1 year left on their contract, the ones I want to keep at the club that is, trying not to increase the wage structure too much right now. Castel looks like he will be a quality midfielder for me, probably a starter towards the end of this season or next, the left-back Renaud is a good back up right now too but he's more of a defensive full-back. Thanks, really took my time with the transfers trying to get the right players for the club with an 8m budget I managed to bring in a total of 6 players, all could start in the starting eleven this season. 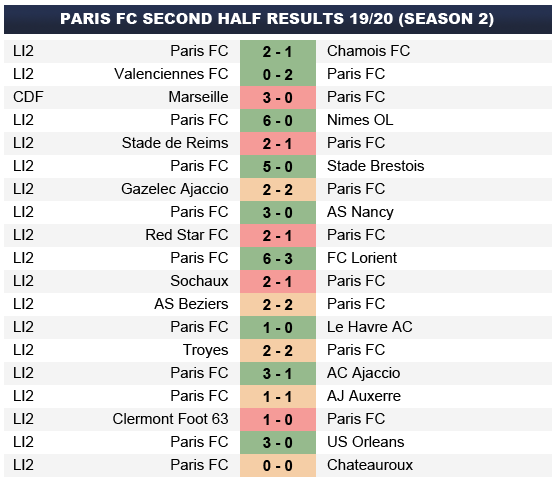 One of the most incredible results in the whole of Europe this season saw two Paris clubs meet for the first time in 40 years, a nine goal thriller saw Paris FC defeat the dominant powerhouse of France PSG with Wamangituka netting a hatrick in the process. Within the first 20 minutes Paris just shook the stadium going 3-0 up, without a doubt they underestimated them, resting key players in Neymar, Cavani and Rabiot. PSG just threw everyone forward which in return had no discipline and the counter-attacking ability of Paris and the clinicality in front of goal was simply breathtaking. PSG pulled it back to 4-3 but as they continued to push Paris punished them a further 2 goals in the last moment of the game, crazy game and one to remember. 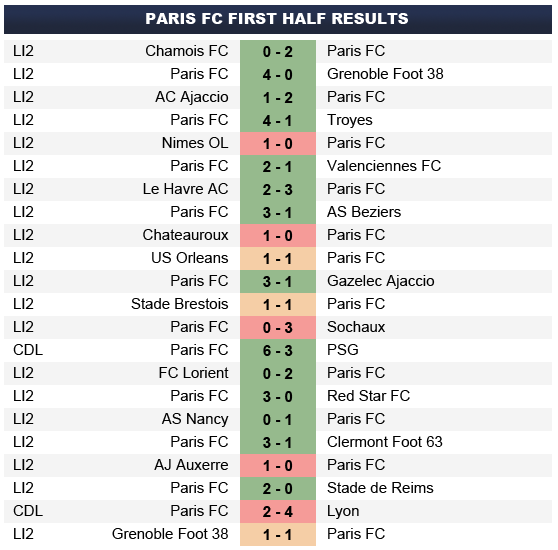 Major injury crisis has hit Paris FC really hard this season, first Alessandrini was ruled out for 4 months during the pre-season tour, he returned to face PSG in the cup in which Paris shocked the world with the victory but only 3 games later the French winger went down again with an LCL injury, ruling him out for a further 3 months. Not only that Saint-Louis was ruled out for 2 months back in September, 1 game after returning from injury he also was ruled with another major LCL injury, taking him out for a further 3 months! But it doesn't end there at the end of December things turned from bad to worse as star defender Axel Bamba had a horrible ACL injury taking him out for the rest of the season, he's expected to return in 7 months time. Bellegarde made a statement at the end of December saying nobody is for sale, "It's important to keep the squad together for this period, we want to achieve promotion and we are well on our way to that, for me nobody is for sale this window". 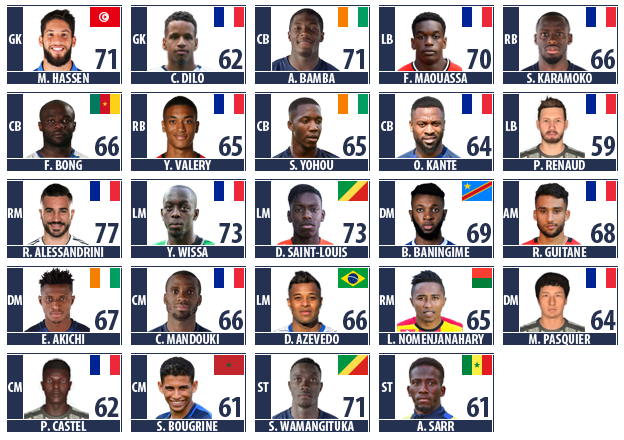 Can Paris keep hold of their star striker Wamangituka and Saint-Louis in January or will a bid big enough arrive that will be too good to turn down for the Ligue 2 club? The biggest news coming out of Paris FC this transfer window was the battle to keep hold of star Congo forward Wamangituka, after lighting up Ligue 2 this season scoring 16 goals in the first half of the season drew many clubs to his attention, European clubs around the world were interested with several bids coming in throughout the window. Bellegarde had an important meeting with the board halfway through January expressing his desire to keep him at all costs, and their promotion chances were at stake, even suggesting they should at the very least hold off accepting any large bids until the summer. The biggest two offers came from Fiorentina with a €12.5m final bid and Hannover 96 offering €15m. All rejected in the end but can the star forward strike his team into the top flight of France football and increase his popularity even more? A secondary story line going on in this winter window for Paris FC was Saint-Louis, question marks surrounded him as he entered his last 18 months on his contract and a handful of Ligue 1 clubs monitoring the situation with a couple of official bids coming in from Toulouse and SM Caen, offers roughly around the €5-8m mark, but nothing to make Paris bite their hand off and nothing came of it, later in the month Saint-Louis committed to the club signing a 3 year extension, keeping him at Paris until 2024. Back-up striker Adama Sarr exits the club for Polish club Slask Wroclaw in a €230k deal, Paris FC cashing in on the forward with the player on his last 6 months and the emergence of the young Arnaud Cartier who is likened to legendary France striker David Trezeguet finally earned his promotion to the senior squad. Um wow, PSG seems like they downgraded a bit. Good to see Martínez at La Liga though. Things seem to be going pretty damn will for Paris at the midseason point. Not too far from promotion. Youth signings also seem very promising. The season has been very good so far. Even if half season is yet to be played, the team enjoy a comfortable gap on the 3rd position, so promotion is closer. Also good news as the club retain Silas and remain competitive despite all the injuries. And of course historic victory on Qatar Saint Germain!! Even if the team then fell vs Lyon (bad luck in the draws), it is always satisfying. A good season so far with a historical victory against PSG, sad to hear Alessandrini strugles with so many injuries. The first two will get promoted automatically? Great start to the season. Couldn’t have been easy turning down 15m for a team in the second division. Was the loss so embarrassing to PSG that they decided to sell players who contributed to the defeat? Great season so far, the team looks like a serious contender for automatic promotion. Cannot believe how well we have been considering the injuries, last season we didn't have any major injuries but this season is a completely different story! Silas is key to promotion so we had to keep him at all costs. That PSG victory will go down in history for this club and that's just the first meeting with them under Bellegarde, I wonder what is to come in the future! 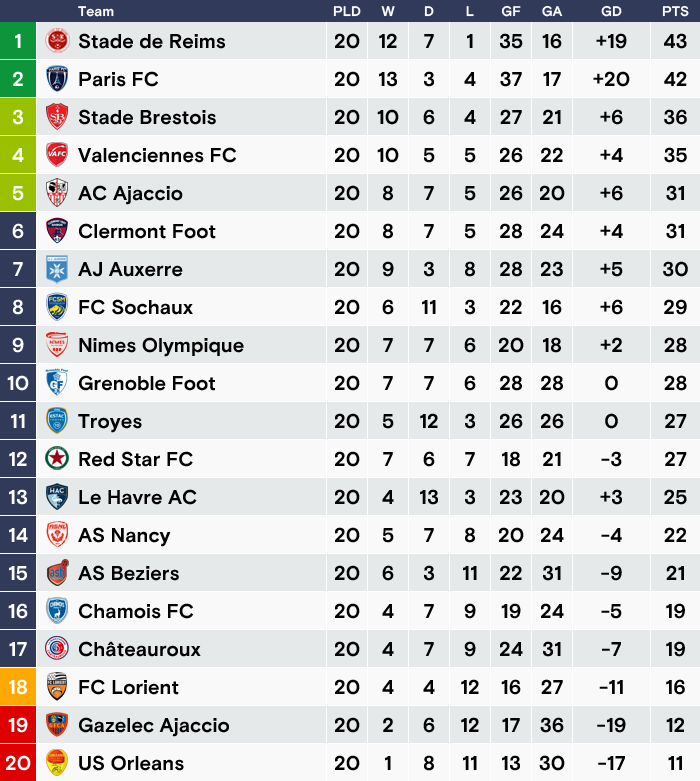 Yes the first 2 get automatic promotion, for the play-offs 5th plays 4th, winner plays 3rd then winner plays 18th in Ligue 1, Alessandrini has had awful look, he's only played 3 games for us and he's expected to be back around February. 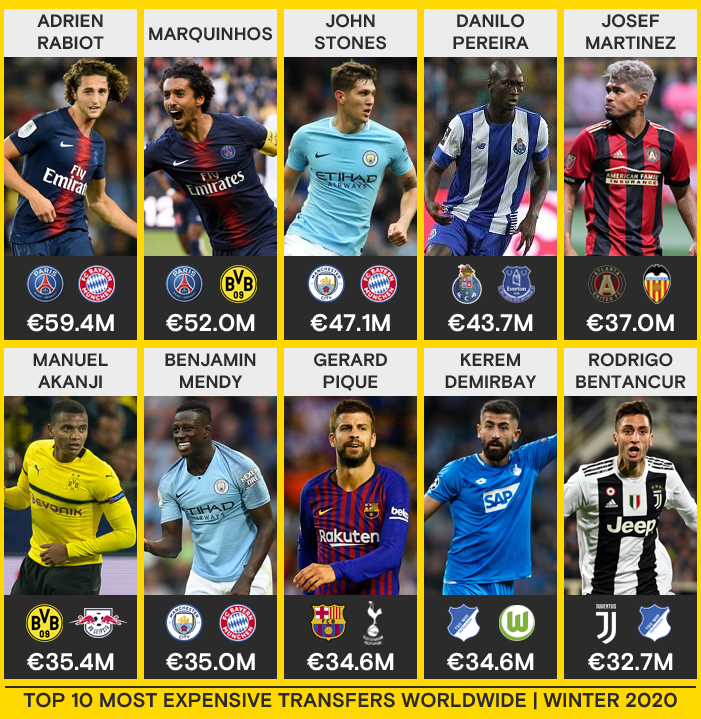 Yeah it was hard but the way I look at it to replace him I'd have to spend pretty much all that money and even they I don't know if they will start banging in the goals like Wamangituka is right now. Barcelona win back to back UEFA Champions Leagues!